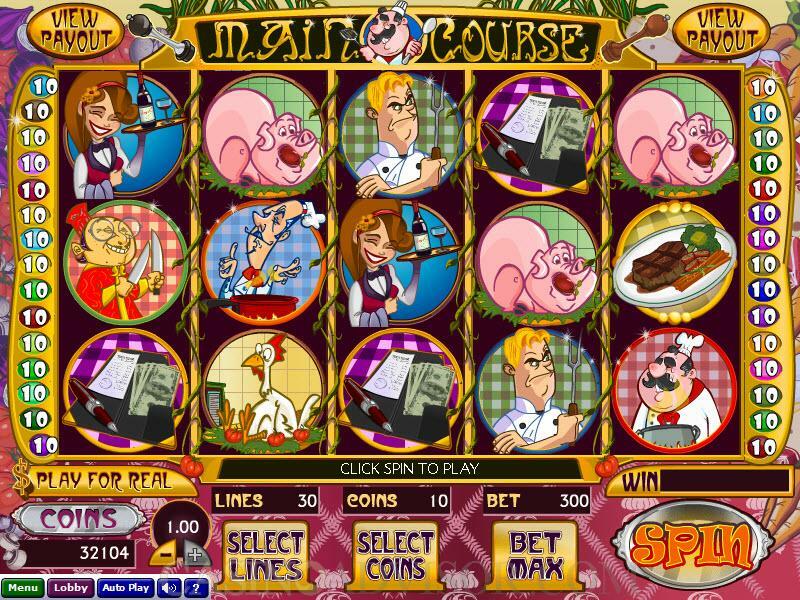 Main Course is an interesting video slot game designed by Wizard Gaming, one of the new players in the online gaming software market. It has a wild (the Asian Legend symbol) and two scatters. One of them triggers the free spins bonus round. You can bet up to ten coins per spin; the game has five reels, and it contains 30 paylines. That makes for a maximum bet of 300 coins. 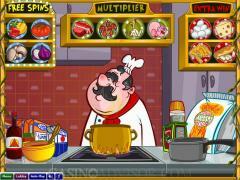 You activate the game with the "SPIN" button, at the bottom right-hand corner of the interface. 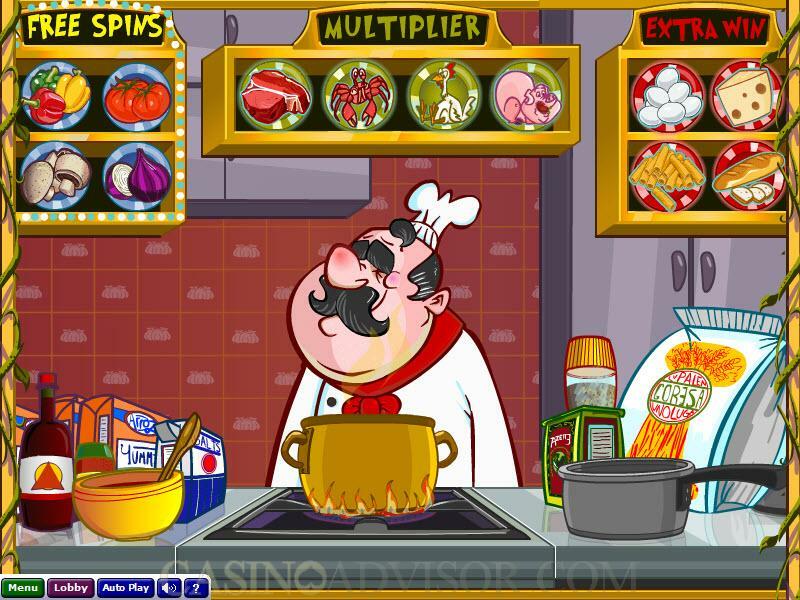 When the "Chef Mario" scatter symbol appears on reels 1, 3 and 5, the Cooking Free Spins Bonus is triggered, which gives you the opportunity to "cook up your own bonus," which means, in effect, that you have choices in terms of selecting the number of free spins, the multiplier and the "Extra Win." When you take the free spins, any wins you achieve during this time are multiplied in value by the multiplier you have chosen. 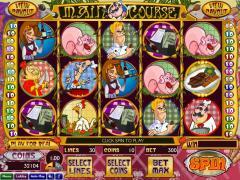 You can play ten coins per line, and with a $1 coin size, that makes for a maximum bet of $300. Winning combinations pay only on paylines that are enabled, and to enable those paylines you can click on the "Select Lines" button at the bottom of the interface. Interested in reading more detailed information about Main Course? If so Click Here for more details.